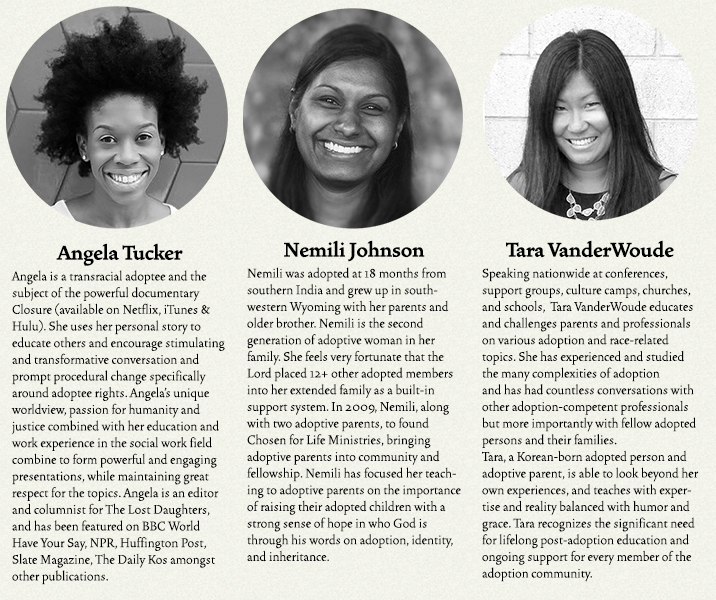 Come hear adult adoptees Angela Tucker, Nemili Johnson, and Tara VanderWoude at our November 5-7 conference at The Summit Church in Durham, NC. We’re excited that all three of them are giving main session talks, participating in a main session adult adoptee panel, and leading workshops. Click here to learn more about this year’s conference. Will you join us? Click here to learn more about this year’s conference.